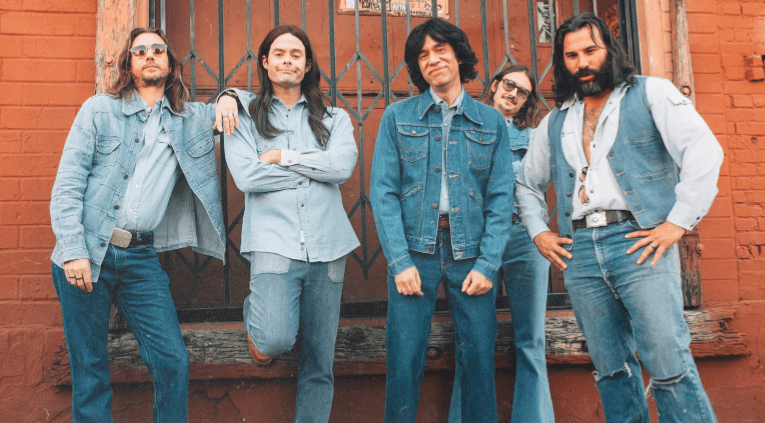 There’s a specificity to Documentary Now!, the series created by SNL alumni Fred Armisen and Bill Hader. The show demands a unique level of audience preparation; if viewers don’t bring a deep enough knowledge base with them, much of the comedy won’t land. However, there’s not an episode of the series — now two seasons old — that won’t provide some laughs, even to a person without a film degree. The show is clever and unashamedly smart — it’s just a whole lot funnier if you’ve seen Nanook of the North. This strain of granular humor a risky proposition, which is undoubtedly why Documentary Now! is tucked away on IFC, the home of the strange, narrow, and specialized. As a haven for a very particular type of humor, the network is owed a debt of gratitude for hosting the show. It’s regrettable, though, that Documentary Now! won’t find more eyeballs, because its vision is singular. The level of production detail is breathtaking, and the laser-sharp focus on its humor is unmatched by the show’s would-be contemporaries. Watch “Juan Likes Rice and Chicken,” the series’ parody of Jiro Dreams of Sushi. There are a number of entry points here, numerous targets to lampoon. See the stereotypically white, millennial foodies, trekking into the mountains to find “cultural authenticity” in a plate of unremarkable rice and chicken. Watch the obviously absurd method of tenderizing the aforementioned chicken by blasting it against a wall with a rudimentary T-shirt cannon. Hear the breathless description of Juan’s modest eatery, delivered by big city food critics and chefs, who wax poetic about the superior “technique” Juan has mastered over four decades. This particular episode surgically exposes the absurdities of food culture, the inherent uselessness of awards, the tendency of diners to mistake food for art, and the way gourmands sometimes transfer the qualities of their favorite subjects onto themselves. Hader’s food writer in the episode falls into a rhetorical trap of hubris that snares many actual critics: “this thing is incredible, for reasons that you would need to be an expert to understand, but mostly because I say it is.” The menu at Juan’s is coffee, bananas, rice, and chicken – and sometimes, if Juan fails to catch a chicken in under five minutes, the bird comes off the menu. Documentary Now! shows its gymnastic ability to pinpoint and expose absurdity without lecturing or chastising, however. The show’s eye is keen, but never mean. The process at Juan’s, and the gratuitous hype surrounding it, reflect the most inflated signifiers of food culture. 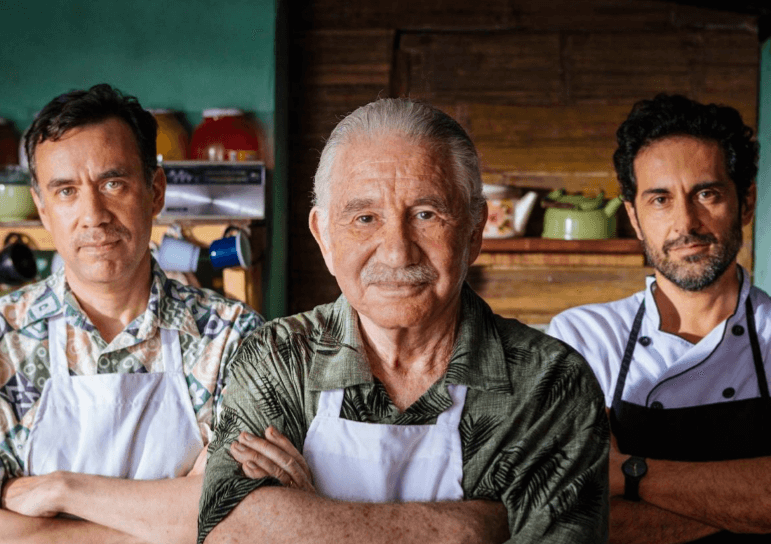 But the characters on screen, and the emotional through line they build in a mere twenty-five minutes, seems to suggest that Juan’s might actually be worth the trek. The show frames the subjects of its fake documentaries as buffoonish without seeming trivial, as the construction of each episode is incomprehensibly thorough. These are facsimiles more than parodies, love letters more than mockumentaries. Yes, Juan appears to cook average chicken that white tourists and critics over-rate because of the byzantine process behind the mediocre meal. And to be sure, critics can be blowhards. Because the “documentary” is so formally accurate, however, there is a type of actual gravity bestowed upon would-be farcical subjects. The show executes all the little tics of documentary form – signifiers of importance, as we have come to know them – that lift up the seemingly inane events on screen. That’s the real joke this series is telling. The documentary lens is so inherently powerful that it is able to give equal import to both the inane and the obviously significant. The team behind these installments nail even the most minute aspects of each imitation. The true subjects of Documentary Now! aren’t the characters, or the events on screen — they are the documentaries serving as each episode’s inspiration. “Juan Likes Rice and Chicken” lovingly recreates Jiro Dreams of Sushi, “The Final Dispatch” does the same with Stop Making Sense, and “The Bunker” takes after The War Room. In this regard, Documentary Now! fills a space previously unoccupied by its contemporaries. Christopher Guest’s mockumentary projects are tonally generic and more concerned with their ridiculous subjects, and comedies like What We Do In The Shadows and Pop Star: Never Stop Never Stopping have an unremarkable style more similar to shows like The Office or Modern Family. On the other hand, the first priority of Documentary Now! is to accurately recreate the specific documentary it focuses on in any given episode. Little details make each final cut immersive; the dramatic shots of a stoic chef in “Juan,” the dolly shots on stage in “The Final Dispatch,” and the quick cuts and stylized transitions in season one’s “Dronez”, an alternate universe Vice documentary. These are small, formulaic choices made by people who clearly love the documentary tradition – even the contrived, sober conventions within it that are such rich targets for parody. The representative accuracy doesn’t start or stop in the editing room. 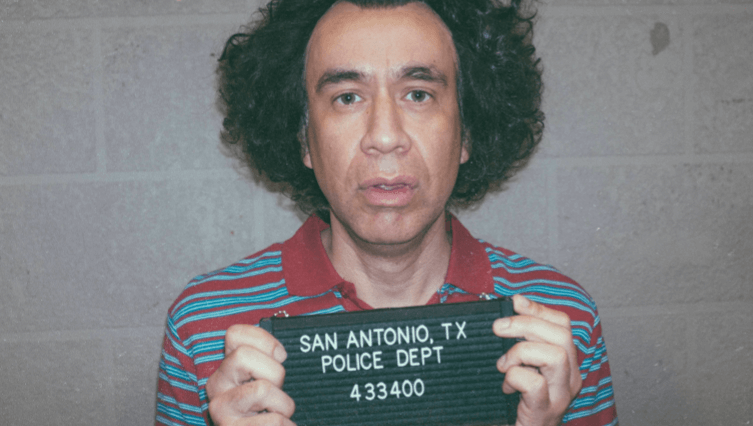 Documentary Now‘s set dressing, costumes, character names, and music are each beholden to their inspiration, completely unafraid to make a joke that lands with only a few people. In “Juan Likes Rice and Chicken”, Documentary Now! shows you a patently ridiculous premise, but the show’s broad argument is that documentary has the power to immortalize, to give any subject cultural significance. Jiro, the real-life inspiration for Juan, is a sushi chef in Japan who has achieved the highest regard a chef can, occupying a particularly godly place in the culinary world. Like Juan, Jiro’s reputation is staked not to his pedigree, or lineage, but to his unrelenting drive and unthinkable discipline. Still, for all his achievement in Sushi, Jiro was still qualitatively less than what he became under the documentary lens. Documentary Now! asserts that no matter the topic, masterful documentation will always elevate its status. That idea is the show’s most important offering. Much like Armisen’s other creation, Portlandia, it upends the idea of what is serious and what is not, and laughs at the way culture determines significance; but it never sneers, and never chides. Although it does so as a friendly roast, Documentary Now! ultimately speaks for the necessity and the inherent cultural power of the form. ‘River’s Edge’ – shocking, unforgettable and a must see!